Weak Acids ionize less than 5% in a water solution. 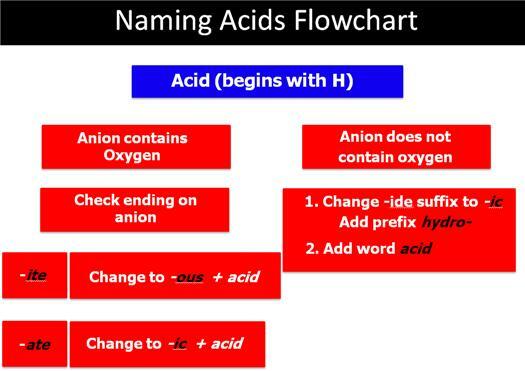 If hydrogen is written first in a chemical formula, there are two ways to name the compound. Writing hydrogen first in a chemical formula indicates that when you dissolve the compound in water, a water molecule has the ability to pull the hydrogen off (from strong electronegative elements like oxygen) the molecule HXO3 and creating hydronium ions, H3O1+ and a negative ion XO31- (cation). 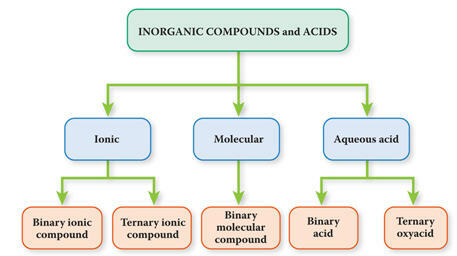 The way you indicate this ionic solution is to write the formula followed by (aq) meaning a water solution: HXO3 (aq) .